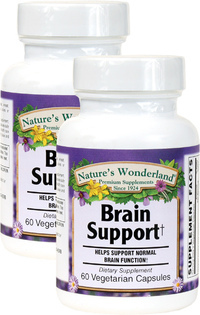 Brain Support, 60 Vegetarian Capsules Each (Nature's Wonderland) - Penn Herb Co. Ltd. 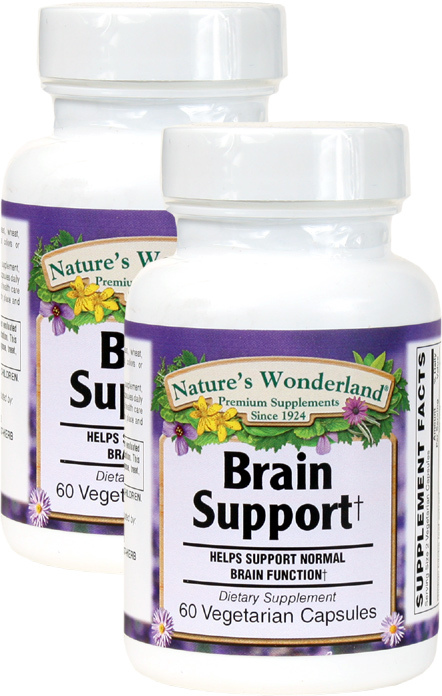 Nature's Wonderland Brain Support formula is the intelligent choice for improved memory, mood, and concentration. Ginkgo Extract...supports circulation to the brain, bringing oxygen and nutrients for healthy brain function. DHA...Omega-3 fatty acid supports and maintains healthy cognitive function. Phosphatidyl Serine Complex (PS)...supports memory, attention, learning, mental acuity, concentration, and improved mood. Now you can achieve optimal brain power and stay in the game! Supports normal brain function; supports memory, attention, concentration; supports healthy cognitive function.